Brandon Smith is excited to be working for public radio in Indiana. He has previously worked in public radio as a reporter and anchor in mid-Missouri for KBIA Radio out of Columbia. Prior to that, he worked for WSPY Radio in Plano, Illinois as a show host, reporter, producer and anchor. His first job in radio was in another state capitol, in Jefferson City, Missouri, as a reporter for three radio stations around Missouri. Brandon graduated from the University of Missouri-Columbia with a Bachelor of Journalism in 2010, with minors in political science and history. He was born and raised in Chicago. Lawmakers unveiled Tuesday a final version of legislation to help schools improve their safety. The agreed-upon language delivers a $5 million funding request made by Gov. Eric Holcomb for the state’s school safety grants. That money goes toward equipment and school building safety upgrades. State lawmakers are arguing over labeling and testing requirements for cannabidiol, or CBD, manufacturers in the final days of the 2018 session. The Senate this session put certain labeling and testing requirements into CBD legislation. That includes a provision to require all manufacturers to submit their CBD oil to an independent lab for inspection. Rep. Tom Washburne (R-Inglefield) says his chamber wants to minimize such requirements. The Senate sent legislation to the governor Wednesday to impose new abortion reporting requirements on all doctors and hospitals across the state. The bill creates a long list of abortion complications. That list ranges from blood clots and cardiac arrest to anxiety and sleeping disorders. And the legislation says if a woman has ever had an abortion, and suffers one of those complications, any doctor or hospital that treats her must report that complication to the state. 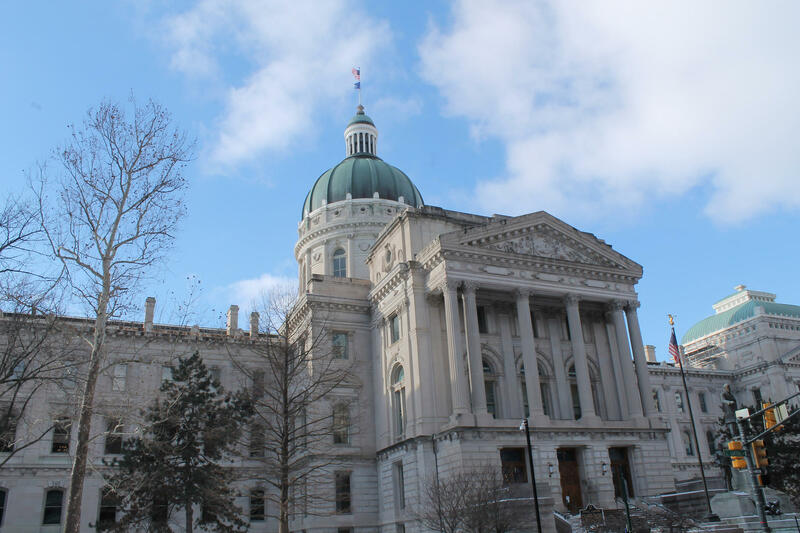 Indiana state lawmakers will have to take sexual harassment training under legislation approved by the Senate Tuesday. The measure mandates an hour of harassment training each year. Senate Minority Leader Tim Lanane (D-Anderson) notes such training is already required for legislative staff. “And so it’s time that we take the next step and have one for the members themselves,” Lanane says. The House sent legislation to the governor Tuesday blocking local governments from banning short-term rentals such as Airbnb - while still allowing units to regulate the industry. The bill says local governments can require permits for short-term rentals, with a one-time fee of up to $150. And Rep. Matt Lehman (R-Berne) says the bill allows local units to revoke those licenses after repeated complaints. Legislation headed to the governor would allow prosecutors to seek a murder charge against someone who attacks a woman and causes the death of her fetus. Current law allows such charges if the fetus is viable. The legislation eliminates the need for viability.